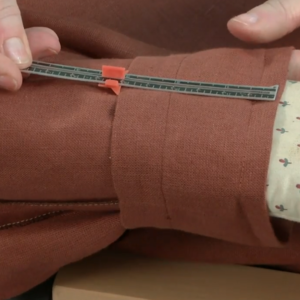 For care and ease of sewing, it just may be better than the real thing. With a luxurious hand and easy-care reputation, synthetic suede is a fantastic fabric choice, especially when you seek a sumptuous feel without bulk. Halston made it famous in the 1970s in his iconic shirtdresses and jackets. It is available in a range of weights and colors, prints, and embossed and perforated versions. 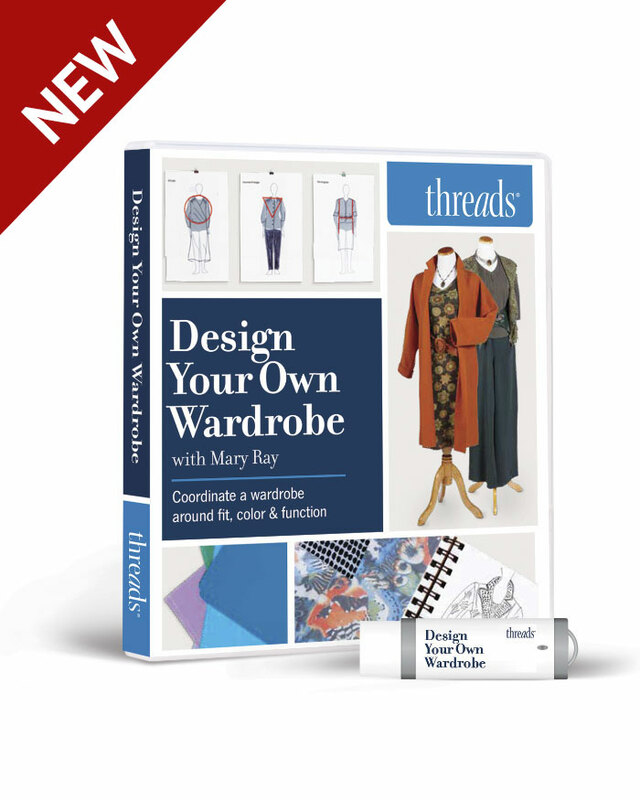 Choose a lightweight type for drapey styles or a medium-bodied fabric for structured garments. 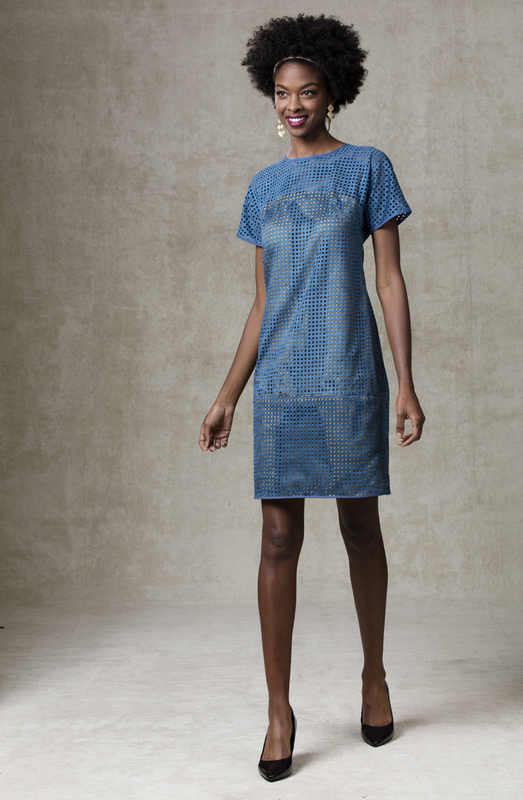 Faux suede’s no-fray nature makes it wonderful for cutwork or appliqué. Faux suedes are made from microfiber polyester and a polyurethane binder. Some are constructed as a nonwoven fabric with a suedelike nap on one or both sides. Others have a woven or knitted base with a napped surface on one or both sides. 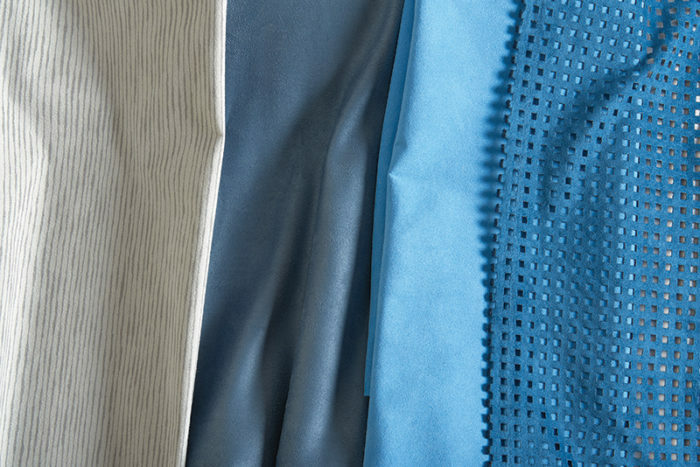 Ultrasuede, a trademarked fabric developed by Toray in the 1970s, was the first high-quality version. Other synthetic suedes are available, but you get what you pay for in terms of hand and durability. 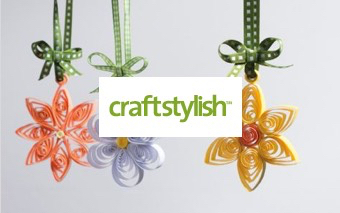 Look for a brand name and shop from a trusted source for the best quality. Faux suede doesn’t ease well, can be damaged by heat, and may wear at stress points. 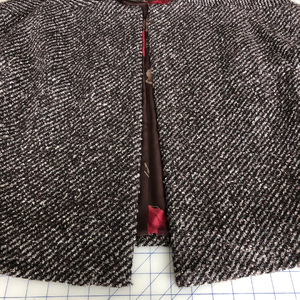 It is tough to sew with a regular hand needle, and on a sewing machine, skipped stitches and creeping can be problems. Aside from these easy-to-overcome shortcomings, faux suede offers remarkable qualities: It is durable, breathable, tear resistant, water and stain resistant, and washable. • Keep construction simple by using designs with dropped shoulders or kimono or raglan sleeves, since faux suede doesn’t ease well. • Consider gathered, shirred, smocked, pleated, or quilted casual jackets and draped designs in soft and supple faux suedes. • Avoid darts because they will appear pronounced in the napped faux suede, and pressing them thoroughly risks melting the material. 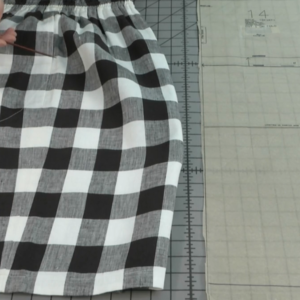 • Do any basting within the seam allowance, and consider using binder clips instead of pins. 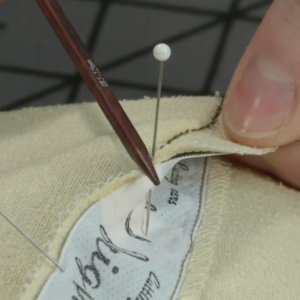 With some faux suedes, needle holes and pinholes are difficult or impossible to remove. • There is no need to preshrink faux suede, but laundering makes it softer and may reduce skipped sewing machine stitches. • Tumble-dry until barely damp, then hang to dry. • Use a nap layout. Cut with the nap going up for a richer, darker look and the nap going down for a lighter, softer look. Cut on the cross-grain for the shaded look of real suede. • Mark the wrong side with arrows to indicate the nap direction. • Hold the pattern in place with weights. 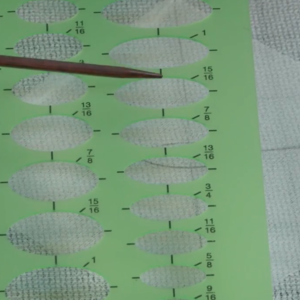 Use a rotary cutter and mat to avoid uneven edges. 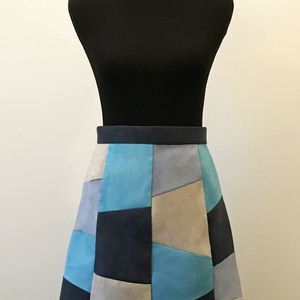 • Cut patterns from a single fabric layer. 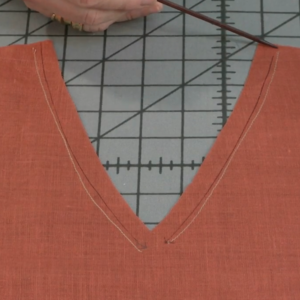 Make and use a complete pattern rather than a half or cut-on-fold pattern. • Choose stretch, sharp, or universal machine needles in sizes 80/12 or 90/14. Do not use a leather machine needle. 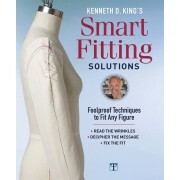 For hand stitching, sizes 5 to 7 needles, appropriate for light- to medium-weight fabrics, are recommended. 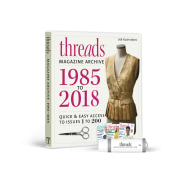 • Use all-purpose polyester thread for regular sewing or topstitching. 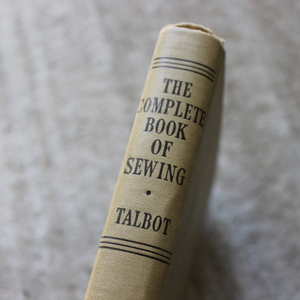 • Hold fabric taut when stitching. 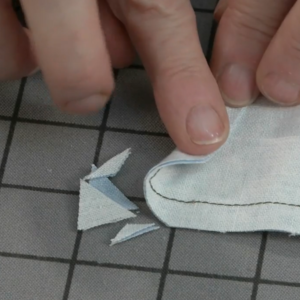 • Sew with a walking foot to keep layers in alignment. 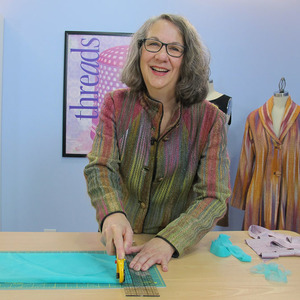 • To remedy skipped stitches, experiment with different needle sizes and point types, and switch to a straight-stitch needle plate. • Stabilize seams that will be stressed. 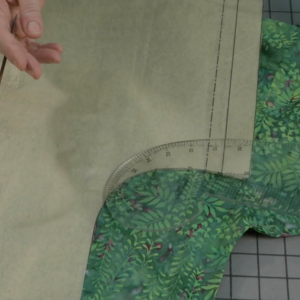 • If you must sew a dart in faux suede, apply a circle of fusible interfacing at the point on the wrong side, and then stitch the dart. To avoid a puckered point, take the last few stitches along the fold at the point. Topstitch darts to keep them flat. 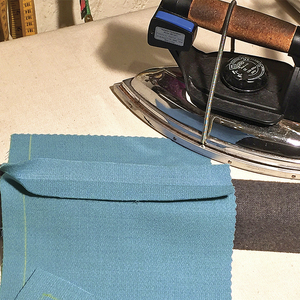 • Use a press cloth and synthetic iron setting or steamer with a plastic soleplate that only produces steam. 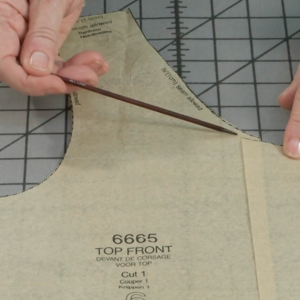 • Topstitch, glue, or fuse seams to help them stay open. • Dry-clean faux suede garments for the best appearance. They also can be machine-washed and machine-dried. Do not overdry them, though. Remove them from the dryer while they are damp, smooth the seamlines, and hang the garment to finish drying. • Take care when spot cleaning, as it’s easy to rub a hole in synthetic suede. 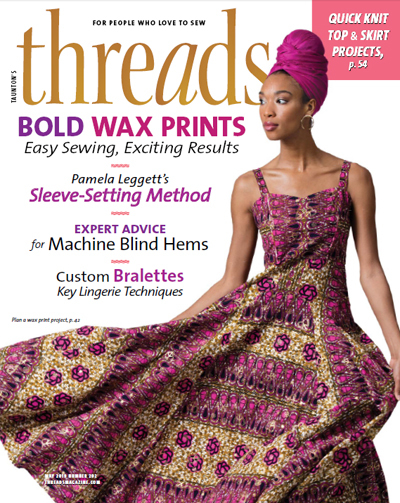 “Fabric Lab: Faux Suede” by Deana Tierney May (p.18) appeared in Threads #195. 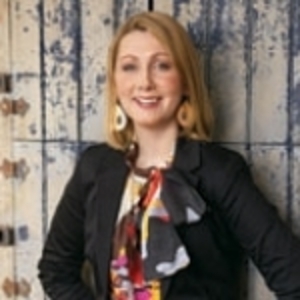 Wouldn’t it be great to have an expert with you as you roam the aisles of your fabric store in search of the perfect fabric? Sandra Betzina does just that in More Fabric Savvy, available at the Taunton Store. 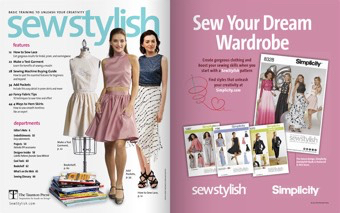 Enter the Summer Sewing Challenge Today! 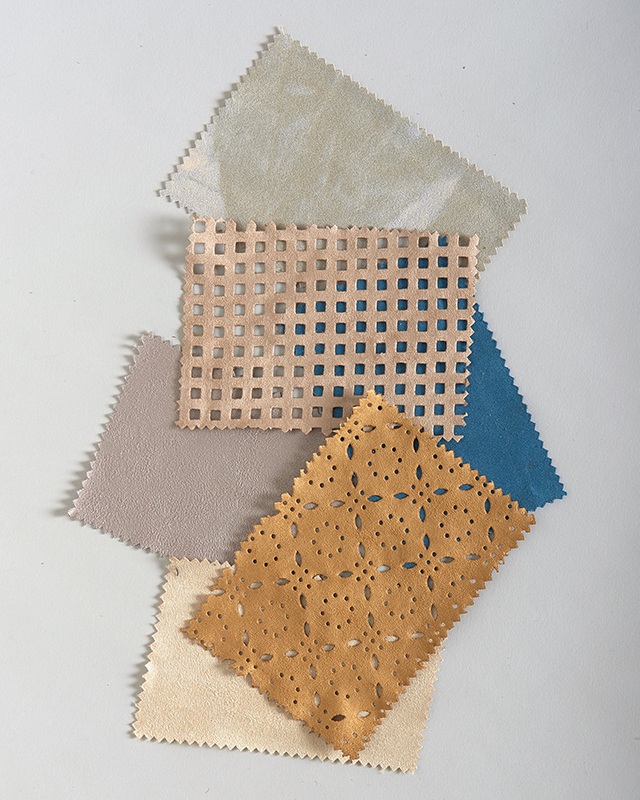 I would love to find some of those perforated faux suedes. Any suggestions?